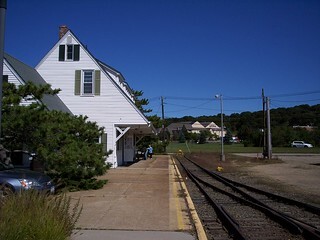 The old station building still stands. 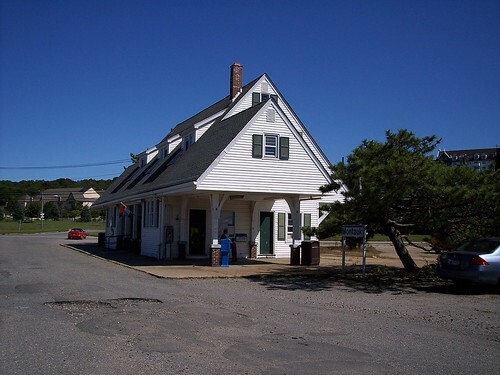 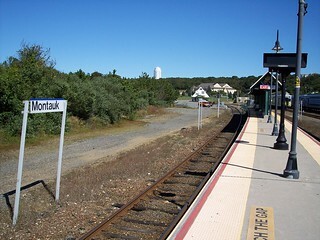 We began our journey to Babylon on the Montauk Branch from here in Montauk. 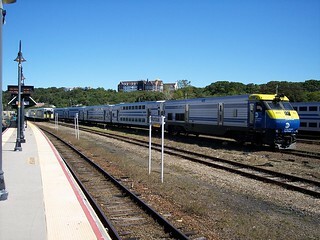 The old low level platform and end of the line, and the new high level platform with the old station in the distance. 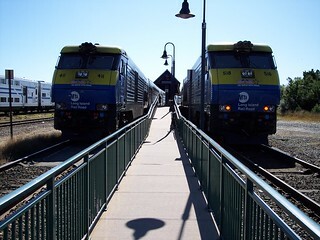 Our train to Patchogue waits at the platform on the right.